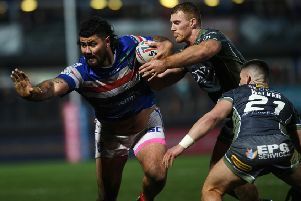 AT LEAST three more signings will be made before Wakefield Trinity begin pre-season training at the end of next month, coach Chris Chester says, writes PETER SMITH. Trinity have already confirmed new faces Mason Caton-Brown, Keegan Hirst and Scott Grix for the 2017 campaign. And Chester said: “There will be a minimum of three to come in before pre-season commences. “It is a waiting game, but we have identified a half-back. Wakefield’s players are now on their off-season break.